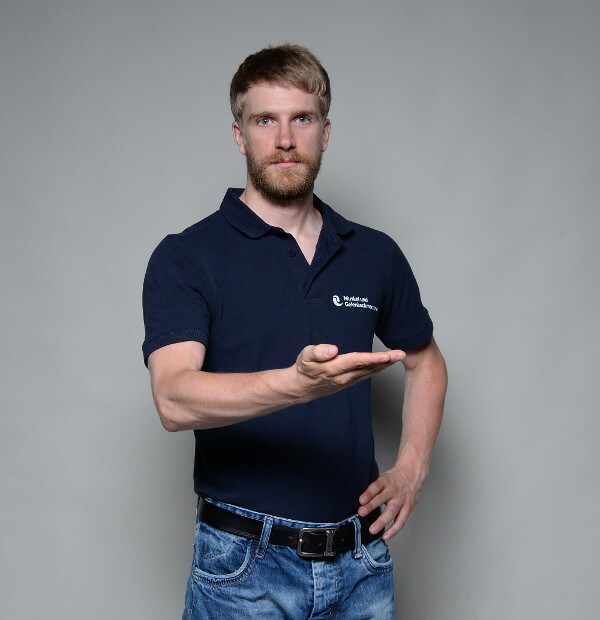 On this page I will guide you through the insertions, functions, pain zones, overload movements, impaired movements, palpation and massage of this muscle. In a nutshell: All the information you need to really understand why this muscle of yours is troubling you and how to deal with it. If this muscle contains trigger points or is too tight, it gets tender and can send pain to the lateral epicondyle of your humerus – outer side of your elbow joint – which is often diagnosed as tennis elbow pain. Furthermore it might leave you with pain at the backside of your hand – area between thumb and index finger –. If this muscle is excessively tight and/or contains trigger points, you might feel pain when using the muscle and even afterwards at rest. Thus, all the movements that occur with the activities displayed above may be painful and/or impaired. The supinator muscle has attachment points at the lateral epicondyle of the humerus, at the ventral and lateral ligaments that connect the ulna and the radius and the ventral part of the capsule of the humeroulnar joint. It wraps around the radius and inserts at the ulna. 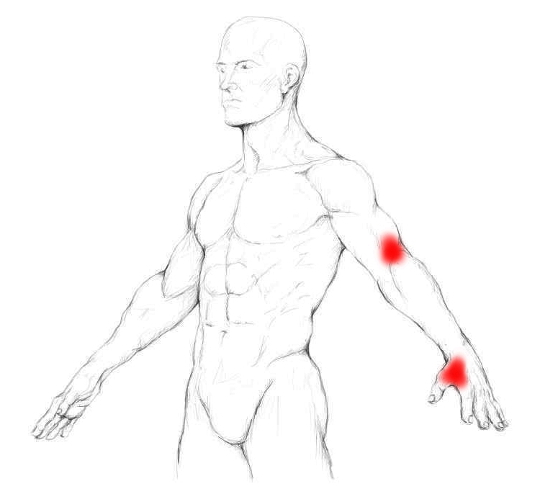 The X in the picture displays the area where trigger points commonly develop in this muscle. As the name already suggests, this muscle supinates your forearm, which means it turns it in a way that your thumb is facing outwards. 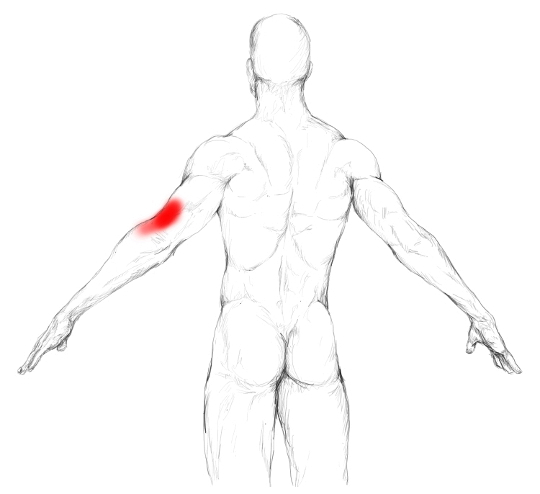 If there is no external resistance and/or your elbow is straight, it is the main supinator of your forearm. As soon as your elbow gets flexed and if any external resistance is added, your biceps brachii will support supination of the forearm – this is only the case if your elbow is at least slightly bent –. Furthermore this muscles supports elbow flexion. Flexion at the elbow with forearms in a "half supinated" position. Flexion at the elbow with forearms in a pronated position. during flexion of the elbow while the forearm is pronated. In both cases, the reason for the strong involvement of this muscle is that your biceps brachii cannot support the movements as it can only supinate your forearm if your elbow is at least slightly bent, and flex your elbow if your forearm is supinated. This muscle gets especially overloaded if activated maximally or in a repetitive manner. As a result, tenderness, trigger points and pain can develop. Maximal activation occurs, as already stated, if your elbow gets flexed while your forearm is pronated or your forearm gets forcefully supinated while your elbow is straightened. 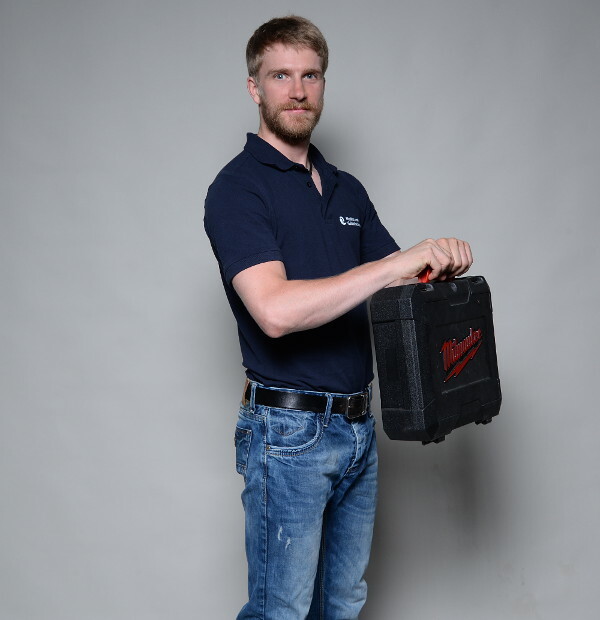 For prevention, it is advisable to supinate and bend your elbow while carrying objects. Surely, if this is not suitable in a given situation, it also helps to switch your working hand every now and then. Feeling this muscle is a little tricky as it is a deep muscle of your forearm and is covered by your brachioradialis muscle. Sit down on a chair and slightly flex your elbow. Make sure it is supported in order to keep your elbow flexors “loose”. Now push with your fingers the brachioradialis to the side, and aim to the outer side of your forearm. If you push too far to the inner side of your cubital fossa, you will hit a nerve. So, stop your palpation if you feel any burning sensation while palpating this area and get back on track. and feel the little muscle that is bulking up with every supination. That is your supinator. Note: You might have to readjust your fingers slightly while doing the pronation/supination movement. It is normal to “feel around” for some time when searching for a muscle, especially when you are new to this. You might need to practice a little bit until you find this muscle, but with some patience it will happen. For massage I recommend using your fingertips or a massage ball. Just place them on the muscle like you just did and search for tender spots. As soon as you find one, apply some more pressure with your fingers and execute very short and slow massage strokes. 10 – 15 strokes per massage session are more than enough. 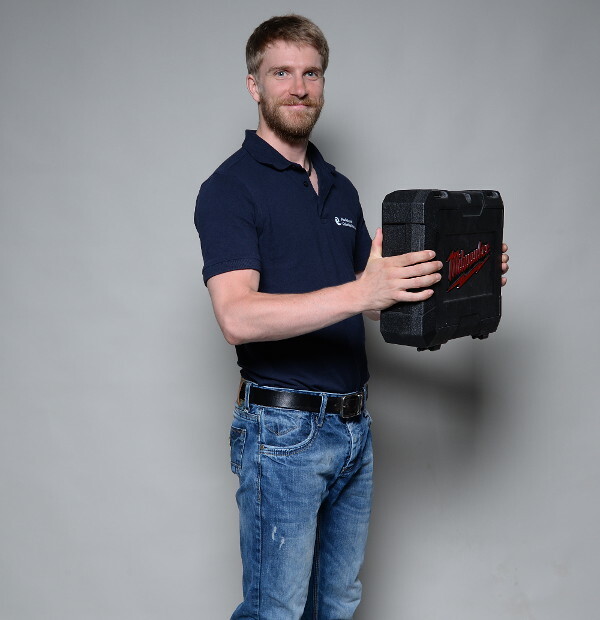 Alternatively you might just palpate the muscle, then pressurize it with your fingers and making it move 10 – 15 times by just pronating and supinating your forearm in an alternating manner. Another possibility is to massage the supinator muscle with a ball. 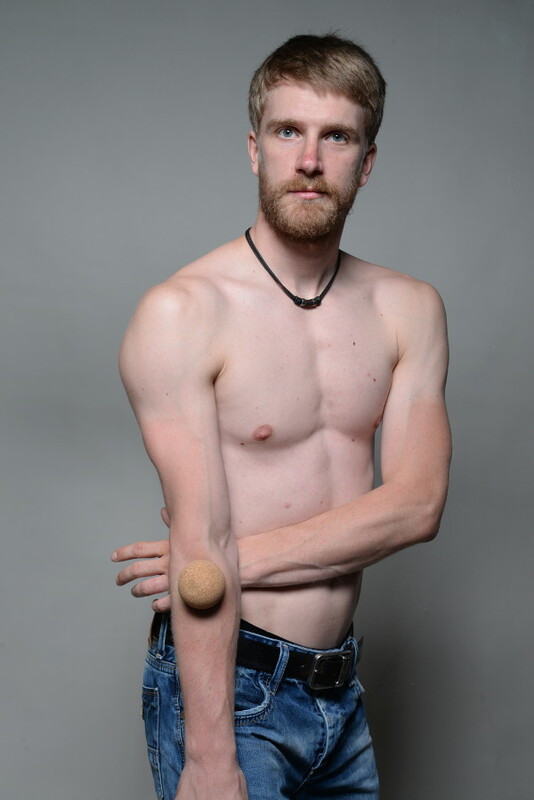 As it is covered by your brachioradialis, it will be important to use a hard ball in order to really “get on to” it. Here, a hard ball is the tool to go. Of course, the massage with a ball will lead to a simultaneous massage of the brachioradialis. However, this is nothing to bother about as it won’t do you any harm.